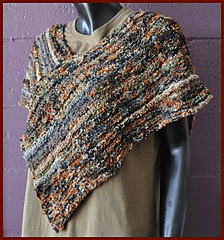 Summary: Two rectangles assembled together form this poncho. 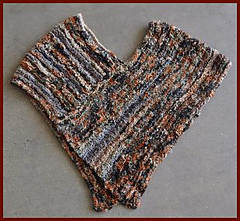 It can be worn in two ways, which create slightly different looks. There is a diagram to aid assembly.